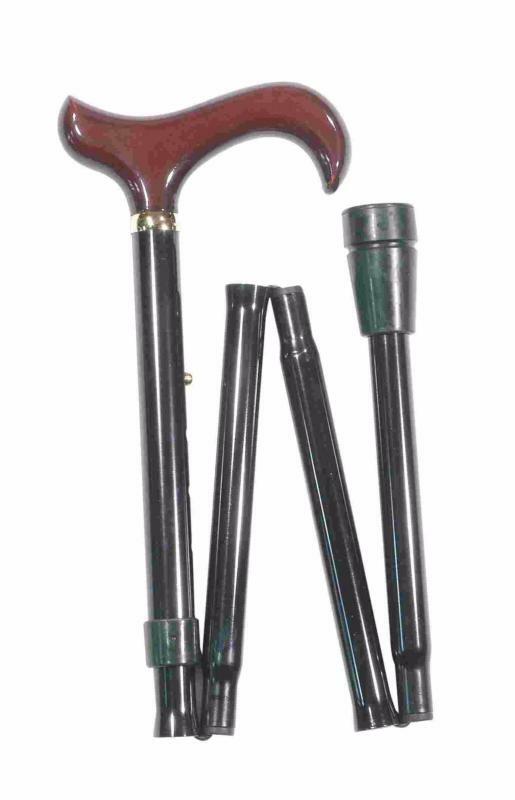 A classic folding stick. The maple derby handle is stained and varnished a rich, deep burgundy and the shape offers excellent support to the hand, and may be hooked over the arm when not in use. The strong and light aluminium shaft is painted black and folds into four sections. 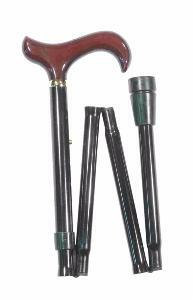 It is height adjustable from 82 to 92cm (approximately 32"-36") in 2.5cm increments. Fitted with a rubber ferrule and smart metal collar. Ferrule diameter 19mm.